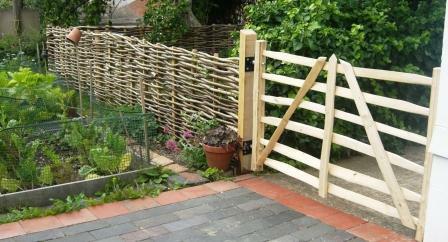 Filed gates are also used as an attractive driveway gates or as a garden feature. There are a number of different styles with variations of the numbers of rails and cross braces creating regional distinct patterns. Cleft oak, chestnut or ash are favoured woods with mortise and tenon joints secured with wooden pegs. A well made gate will provide decades of enjoyment.